Valentine Goncharova was born in 1953 in Kiev (Ukraine).1960 - 69 studied violin by L. Benderski, at the Music School by Kiev Conservatoire. From 1969 – 76 Valentine studied in St. Petersburg, by the famous violinist, professor M. Vayman. By his direction graduated the School at 1971, and graduated the St. Petersburg Conservatoire at 1976. 1980 – 83 she passed postgradueted course at the St. Petersburg Conservatoire, by direction of another well-known violinist, professor B. Gutnikov. During the studying in St. Petersburg, more than 10 years, Valentine also has focused to course of chamber ensemble by professor T. Fidler. Not only learning, but experience of work of illustrator (violin-master play with many pianists-students) by T. Fiddler and others professors, helped to gain the stylistic skill and gather numerous repertoire for chamber ensemble. Throughout of the long artistic career, Valentine Goncharova brought the interest in contemporary music. Attended classes of composition in St. Petersburg Conservatoire, as an external student, helped her friends to perform their music on festivals. She performed new works by recognized masters on the festivals "Leningrad Spring" and "Moscow Autumn". The acquired knowledge and experience in contemporary chamber and symphony music, will helped to Valentine to express herself later in others areas of music culture, such as: free jazz, new music, and, probably, new age music. Valentine is author and performer of the all tracks on the all instruments used, on the two CD, issued in UK. There used also unique techniques of electron-acoustic sounds. Author of the idea in electronics, and also engineer and inventor of pickups for violin, guitar, percussion and others sources of sound’s - Igor Zubkov (Tallinn, Estonia). Published: "Ocean" in 1989 Leo Record, London. "Atlantis Rising" 1991 Findhorn Music, Forres. In the same period Valentine took part in jazz festivals in Pärnu (Estonia) and jazz concerts in Moscow, St. Petersburg, Volgograd, Riga and Helsinki. Classic music concerts were held in the vast territory of Russia from 1976 to 1984. In 1984 Valentine has moved to Estonia. Since that time, she has concerts, mainly in Estonia and also in Germany, France, Latvia, Hungary and Ukraine. Valentine taught the violin and chamber ensemble at the Tallinn Music College, by named of Georg Ots 1984-2002. In 2007, Valentina has prepared a new program, containing popular music. Then, she won third prize on competition in Moscow, at the category "Artist of the popular genre." For several years she has performed in concerts in Estonia and other countries, expanding and updating repertoire in popular genre. Since 2008, Valentina is actively cooperating with the Russian Philharmonic Society of Estonia. Several times a year, has a solo and ensemble recitals on the stage of Russian Centre of Culture and other concert halls of Tallinn. One of the important events of the last few years there was a concert in June 2015 , dedicated to the 330th anniversary of the birth of Johann Sebastian Bach. It was a joint performance with pianist Vladimir Ignatov (organizer and head of the Philharmonic Society) in the Chamber Hall of the Palace Kadriorg. At last years Valentine closely work with the Catholic Church in Estonia. She organized the ensemble “Pro Anima”, together with her students, for performing music of the 18th century. At the same time, she gives concerts with well-known musicians in the religious holidays. She is also involved in charity events. 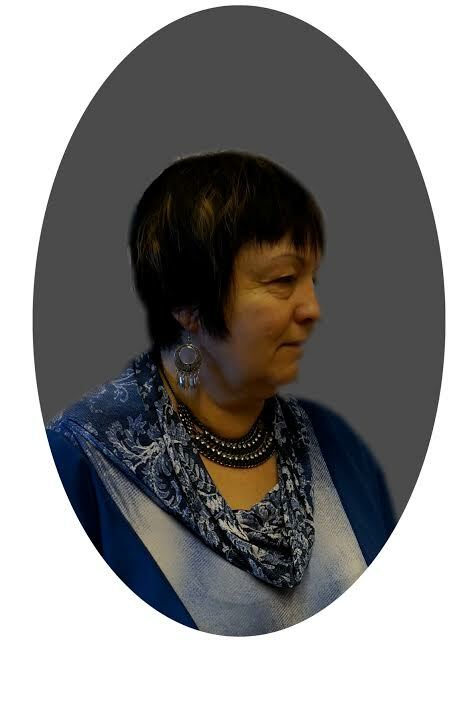 Valentine Goncharova - a member of the European Association of Professional Musicians (Estonian Association). Also, she is a member of the Estonian Union of Journalists. She actively collaborates with newspapers, magazines and radio, author of a large number of articles and broadcasts.